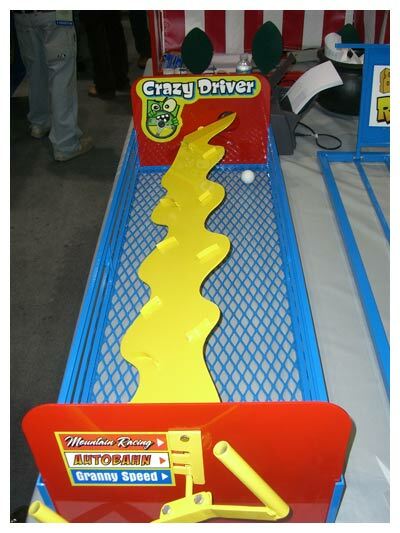 Crazy Driver is one of our more unique and challenging games. There are 3 levels of difficulty for participants and the goal is to turn the steering wheel side to side while balancing a ball rolling down the unit towards the end exit hole. The steepness of the slope and the obstacles in the way will add fun for players over and over again.